This new hotel is the result of a renovation and rebranding of one of the most well-located hotels in town. Just around the corner from the city’s grandest boulevard, it features contemporary furnishings and a pleasant garden surrounding a round swimming pool. Found halfway between the grand Comercio Square and the revived Cais do SodrÃ© district, this new 5-star hotel is also a museum, after all the artefacts found during the building’s renovation. It incorporated part of the city’s medieval wall, and offers rooms with a simple dÃ©cor mixing vintage and modern pieces. Well located just steps from Avenida da Liberdade and within walking distance of downtown, this new 5-star hotel is perfect for business or leisure travelers. It has an indoor pool, a spa and meeting rooms. Home to the Brazilian consulat for decades, part of this historical building is now a tasteful bed & breakfast with art-filled rooms and suites. Guests have a magnificent view over one of the city’s main central squares and are within walking distance of many of the main attractions. Inspired by the landmark Santa Justa Elevator which stands just a few feet away, this small hotel features a dÃ©cor mixing Art Deco and modern designs. Every room is slightly different, with some of them incorporating the 18th-century building’s original wooden beams. The Berardo Museum of modern and contemporary art has always been free since it opened 10 years ago, but the free ride is over this May 1st, when the museum will start charging a â‚¬5 admission. Until then, you can see temporary exhibitions together with the permanent collection that includes works by Picasso and Warhol for free. 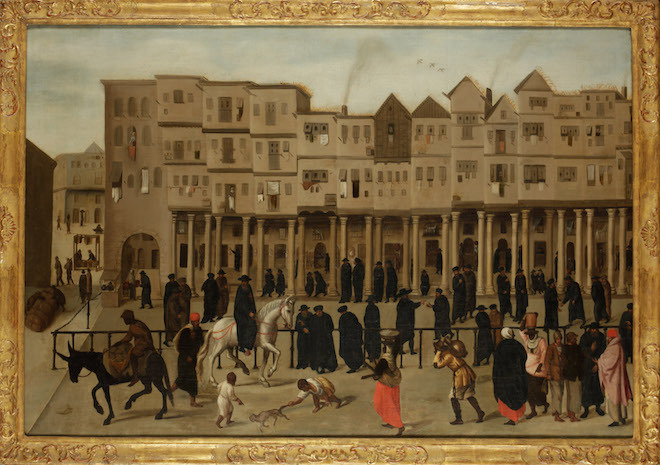 Itâ€™s not free, but the exhibition you canâ€™t miss is â€œThe Global City – Lisbon in the Renaissanceâ€ at the Ancient Art Museum. It lasts until April 9th, and revolves around a painting of the main shopping street in 16th-century Lisbon, showing the Portuguese capital as the first global city, offering goods from all over the world. The other major exhibition in town is one dedicated to one of Portugalâ€™s most important painters, Almada Negreiros. Itâ€™s being shown at the Calouste Gulbenkian Museum until June 5th, and is already one of the museumâ€™s most-visited exhibitions. 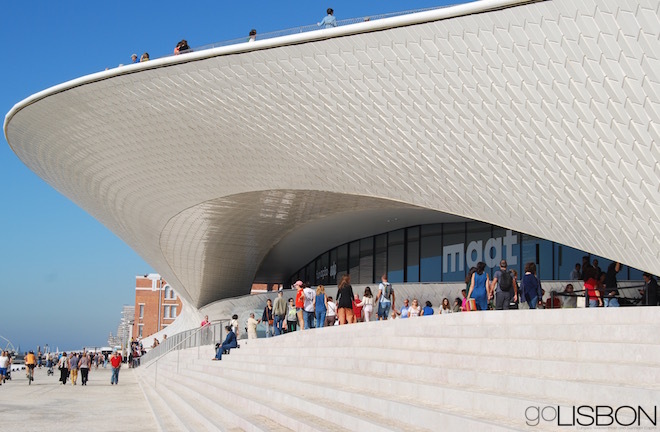 If you were in Lisbon last fall, you may have already been to the new MAAT (Museum of Art, Architecture and Technology). It was inaugurated last October, but only a couple of the rooms were open and with very little to see inside. It is currently closed, as it gets ready to finally inaugurate the entire building on March 22nd. 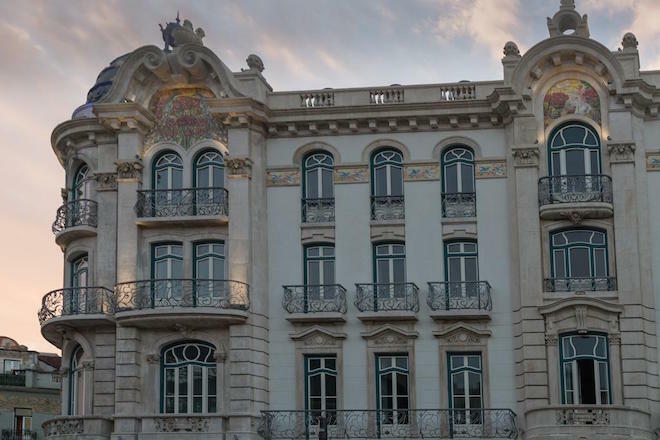 The building itself is an attraction, already one of Lisbonâ€™s most iconic landmarks. After a visit to these current exhibitions, head to the waterfront and relax at the new Cais do SodrÃ©. That riverfront district was under (re)construction over the last year, but it is now accessible to all, with more pedestrian space, new places to sit by the river, and new spots to eat and drink. Lisbonâ€™s biggest gastronomic festival takes place in the spring, and this year itâ€™s happening from March 30th to April 9th, at a new location. The â€œPeixe em Lisboa – Lisbon Fish and Flavoursâ€ festival is obviously dedicated to fish, and the new location is the Carlos Lopes Pavilion, a century-old building in Edward VII Park, that was once a sports pavilion, and that was completely renovated earlier this year. Several new hotels have opened in Lisbon over the last few months, but the newest are the Hotel 1908 Lisboa and the Star Inn Lisbon Airport. The first one is the result of a renovation of a beautiful building from 1908, and the second one is right at the airport. You can be among the first to rate the hottest new restaurants in town. 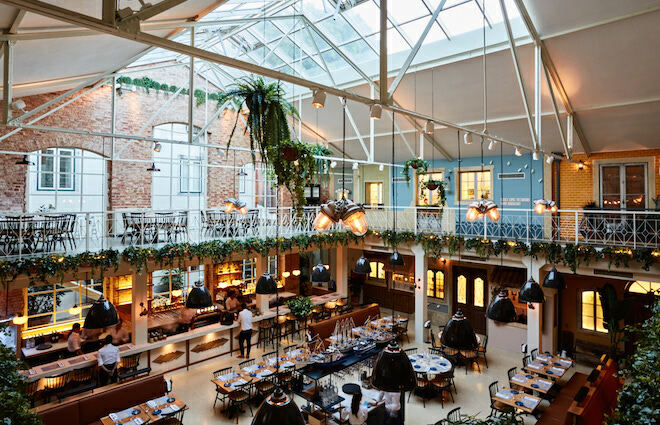 One of them, the Infame, opened on the ground floor of the Hotel 1908 Lisboa, and serves an international menu inspired by its multiethnic neighborhood. Another is “Tapisco,” a casual Spanish tapas and Portuguese petiscos restaurant by local celebrity chef Henrique SÃ¡ Pessoa (Rua D. Pedro V, 81). Also from a well-known chef is “Absurdo,” a spot for faster meals on the waterfront serving only â€œabsurd,â€ meaning unusual, sandwiches (Avenida Ribeira das Naus, 16). 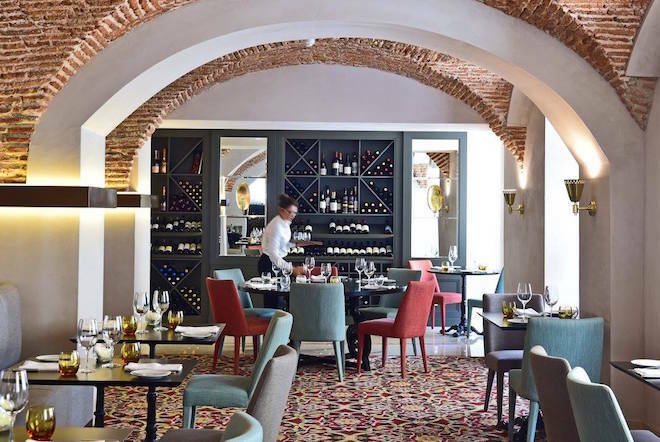 For a fancier place, head to “RIB – Beef & Wine” on the beautiful ground floor of Pousada de Lisboa. This is a 5-star design hotel in the cityâ€™s trendiest neighborhood. It has a wonderful view from the rooms (some of them with small balconies) and from the restaurant and small pool. It faces one of the main central squares, home to the city hall palace. It has a nice restaurant with outdoor seating, and places you within walking distance of most downtown attractions. Facing the cityâ€™s most iconic landmark (the BelÃ©m Tower), this 5-star hotel is the former 16th-century home of the towerâ€™s governor. It has a wonderful spa, an even more wonderful outdoor swimming pool and another indoor pool, a refined restaurant and a dÃ©cor inspired by the cityâ€™s famous blue-and-white tiles. With a small rooftop swimming pool and terrace, this hotel is in a good central location, just around the corner from Avenida da Liberdade, Lisbonâ€™s main shopping street. It also has a gym and a good restaurant. 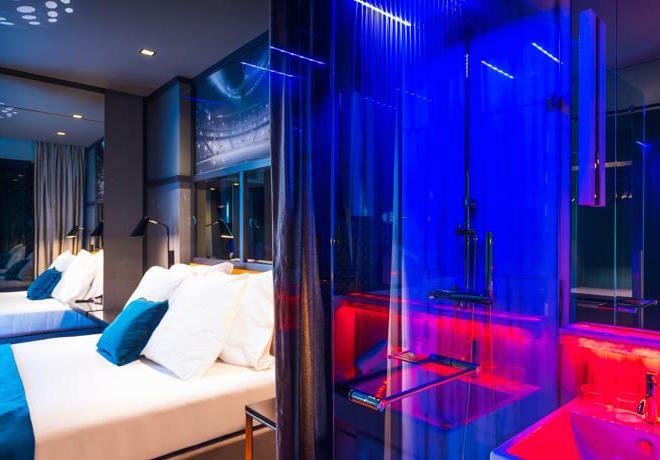 The CR7 in the name refers to world-famous soccer player Cristiano Ronaldo, who teamed up with the Pestana chain to offer this sports and fashion-inspired hotel right in the heart of Lisbon. The bar and bistro on the ground level is open to everyone, and serves good cocktails as big screen TV show different sports events. This hotel is just a few feet from a charming square in the cityâ€™s most elegant central district, Chiado. It has a nice rooftop terrace serving drinks and views throughout the day. Itâ€™s right next door to one of the cityâ€™s most historic landmarks, the curious â€œhouse of spikesâ€ Casa dos Bicos, today celebrating the life and work of Nobel Prize author JosÃ© Saramago. Itâ€™s a nicely renovated traditional building, facing the riverfront, with simple contemporary-style rooms. This hotel is made up of 37 apartments, catering to families that want to spend several days in Lisbon. Itâ€™s in a very central location, and it offers a â€œkids clubâ€ for parents who wish to leave the kids behind as they explore the cityâ€™s cultural attractions. This hotel is down the street from one of the cityâ€™s businest squares in a central business district. A Metro station is right outside, taking you downtown in just a few minutes. A rooftop terrace with pool lets you relax as you overlook the city. Just a short walk from the cityâ€™s grandest square and the waterfront, this 4-star hotel has rooms of different sizes. Although it has an 18th-century faÃ§ade, itâ€™s entirely new inside, featuring a contemporary dÃ©cor. The Museum of Art, Architecture and Technology (MAAT) has already opened in the former Electricity Museum, in a former power plant. But the main building — an iconic piece of modern architecture on the waterfront — is only opening its doors on October 5th. On that date youâ€™ll also be able to see three new major exhibitions, together with a series of events, celebrating this new cultural attraction. For another dose of art and culture, head to the Ancient Art Museum. 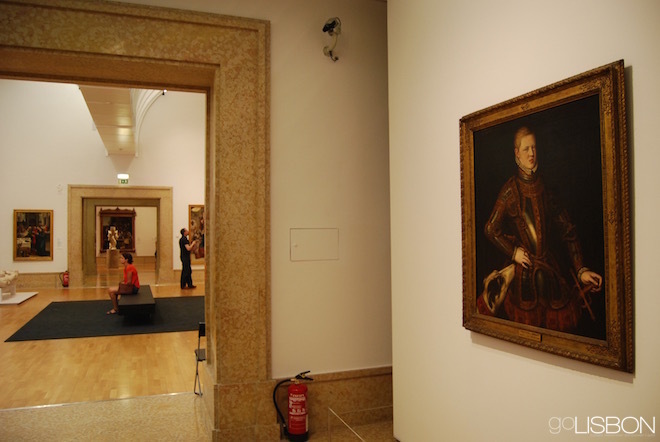 It just reopened its entire 3rd floor after years of renovation, now taken over by Portuguese painting and sculpture. Many of the pieces have never been shown before, including new acquisitions. Its famous â€œPanels of St. Vincentâ€ can also now be literally seen in a new light. 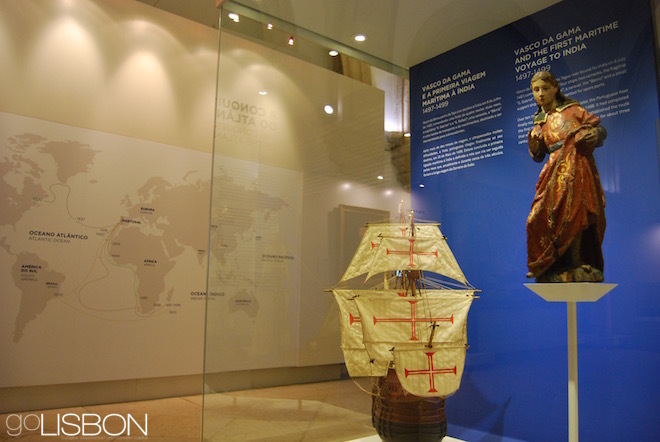 Another museum with a new exhibition space is the Maritime Museum, which this summer unveiled its new â€œDiscoveries Hall,â€ which now better shows and explains how Portugal explored the seas and reached so many lands. Lisbonâ€™s most famous (and Michelin-starred) chef already had half a dozen restaurants, so he decided that his next project wouldnâ€™t be just another dining spot, it would be an entire neighborhood. Heâ€™s just taken over a huge space and divided it into different areas, from a â€œtavernâ€ at the entrance, to a â€œgrocery store,â€ to a traditional â€œLisbon patio.â€ The interior mixes contemporary and traditional design, and depending on where you can get a table, youâ€™ll be served traditional petiscos (tapas) or finer dining, strong on fish and seafood. World-famous soccer player Cristiano Ronaldo has gotten into the hotel business, and the first ones to open were in his home country. The very first one was in his home city of Funchal, and the second in Lisbon. Pestana CR7 Lisboa Hotel is not just for those who book a room, as the â€œCR7 Cornerâ€ bar downstairs is open to everyone, offering drinks and meals, as TV screens show sports and fashion events. Good news for those who travel on a budget — thereâ€™s a major new attraction in town thatâ€™s completely free: the Money Museum. Accessed through a former church, it allows you to touch a 12kg gold bar in a vault that used to belong to the Bank of Portugal, and presents the history of money in the world, in a surprisingly engaging display of coins and banknotes. Lisbonâ€™s first major shopping mall opened in 1985 in controversial postmodern glass towers, but only in 2016 did one of those towers open its terrace as an observation deck. Accessed through the mall, it offers a 360-degree panoramic view of the city. A huge terrace below the Gothic ruins of Carmo Church, right by one of the entrances to the landmark Santa Justa Elevator, finally became a public space in 2015, and this summer it became a bar open throughout the afternoon until late at night. 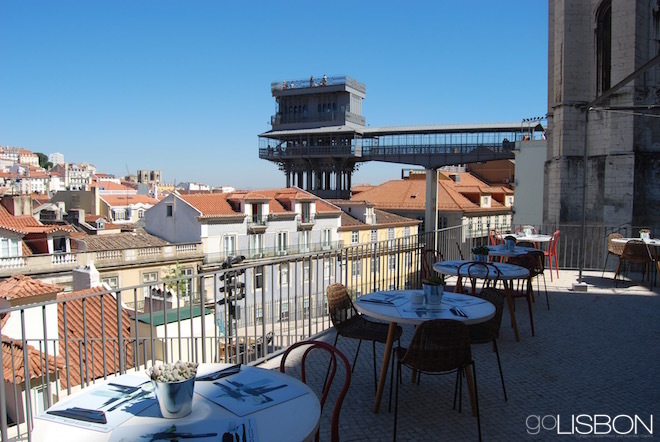 Named â€œTopo Chiado,â€ it offers cocktails and tapas to the sound of chillout music, looking out the the castle and the elevator. Another terrace offering cocktails, but also some more creative and elaborate meals, is â€œRio Maravilha,â€ facing the Monument to Christ and 25 de Abril Bridge. Itâ€™s at the top of one of the buildings of the trendy Lx Factory complex, and is currently one of the cityâ€™s hottest spots. 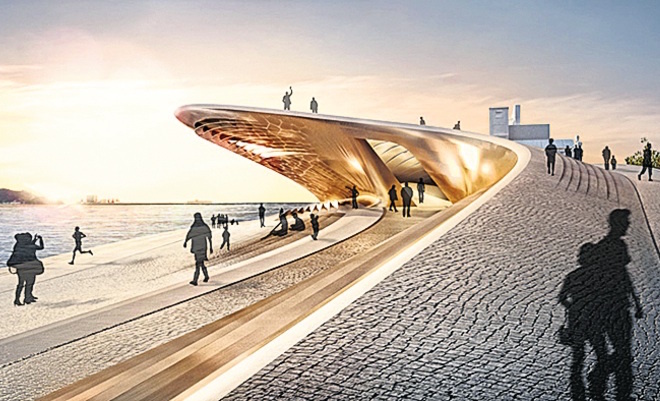 The major new attraction of the year is the MAAT, the Museum of Art, Architecture and Technology, which will be found on the waterâ€™s edge in the BelÃ©m district. Directed by the former curator of contemporary architecture of New Yorkâ€™s MoMA, the first exhibition is scheduled for September, but youâ€™ll be able to admire the exterior of the rather futuristic building before then. Itâ€™s not being labeled a â€œmuseumâ€ but rather a â€œmuseological space,â€ and itâ€™s quite a space. Itâ€™s a replica of a ship from the 1500s, the type that left Lisbon for Asia, Brazil and around the world, and will explain the planning and process behind those voyages, together with all the different aspects (both positive and negative) of the Age of Discovery. 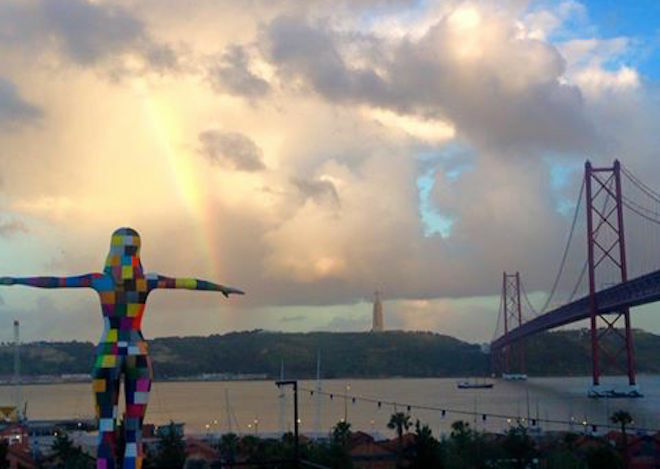 It will be placed on the waterfront some time in the summer, by Ribeira das Naus, and will have a terrace at the top offering views of the Tagus flowing into the Atlantic, allowing you to imagine the ancient sailors heading into the unknown. Itâ€™s been postponed year after year, but 2016 is said to be the year for the opening of the new Money Museum. It will be found in the mostly unlikely of places, a former church from the 1700s, but also extending to the building behind it, which belongs to the Bank of Portugal. Although the museum is said to open in the first half of the year, the former church is already open to visitors, showing traces of Lisbonâ€™s medieval wall together with archaeological finds from the Roman and Moorish periods of the city. It may be hard to believe for many locals, but the Amoreiras Towers have just turned 30 years old. Quite controversial due to their postmodern architecture in a historic city, theyâ€™re now very much part of Lisbonâ€™s skyline and house one of its favorite malls. 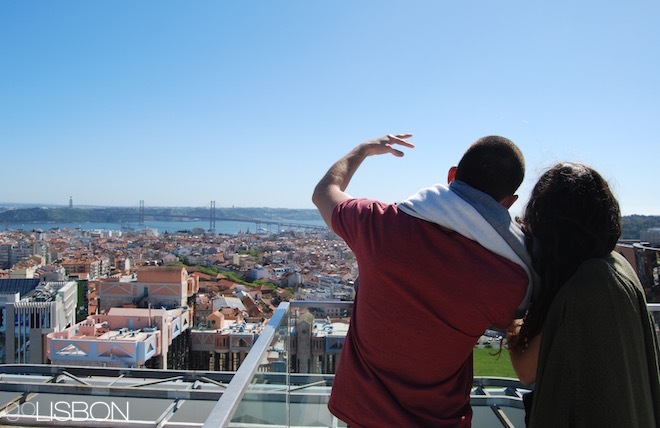 In 2016 it will open its rooftop to visitors for the first time, a new attraction itâ€™s calling â€œAmoreiras 360.â€ Thatâ€™s because it will offer 360Âº-views over Lisbon, reportedly at a cost of 5 euros per person. One of the biggest events of the year will happen in July. From the 22nd to the 25th, â€œEuropeâ€™s Atlantic Capitalâ€ will have several activities (from concerts to exhibitions) related to the famous sailing race. Many of the ships will be open to visitors, and there will be lots of photo opportunities as they go down the Tagus towards the Atlantic. The same company that turned a group of abandoned warehouses, now collectively known as â€œLx Factory,â€ into one of Lisbonâ€™s trendiest spots, will now try to do the same for a former hospital. The 500-year-old building actually started out as a monastery, then became an orphanage, then it was turned into military barracks, and finally became a hospital until 2006. In the spring of 2016 it will have its 11,000 square meters divided into shops, cultural spaces, restaurants and a hotel. A larger number of tourists every year means that thereâ€™s still a need for new hotels. And the new ones try to stand out from the competition in any way they can. Studies show that Lisbon is one of the cities with the best-reviewed hotels in Europe, and the upcoming ones will make sure they keep it that way. 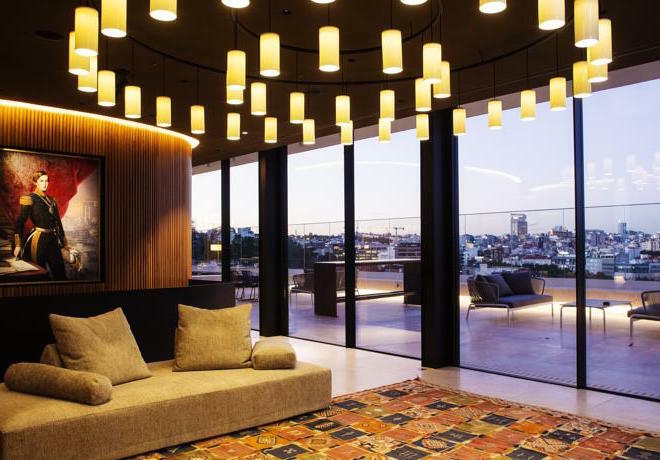 There will be a new design hotel in the PrÃ­ncipe Real district overlooking the city, a new hotel downtown from a new chain created by superstar Cristiano Ronaldo, and a new four stars in the central Figueira Square. 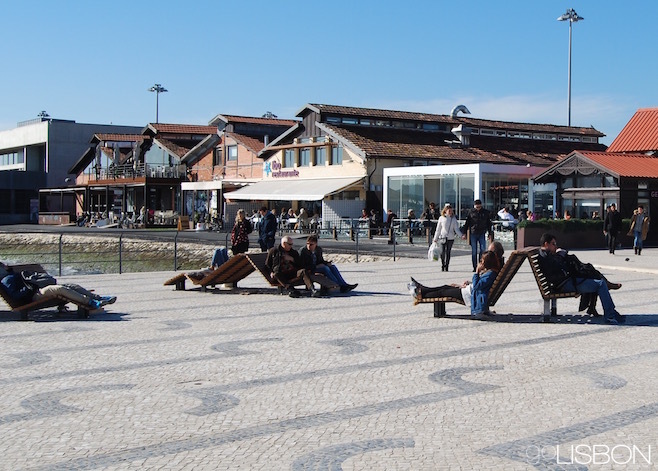 The final touches are scheduled for January of 2017, but by the end of 2016 youâ€™ll already be able to enjoy a large part of the renewed waterfront between Cais do SodrÃ© and Campo das Cebolas, by the cruise terminal. Extending the promenade Ribeira das Naus, also used as an â€œurban beachâ€ during the warmer months, the square across from Cais do SodrÃ© station will be landscaped, and the square across from the famous Casa dos Bicos will be mostly car-free, so youâ€™ll be able to enjoy a picnic or relax in the Atlantic breeze. In the year that the landmark 25 de Abril Bridge celebrates 50 years, there are plans for the addition of an elevator to take tourists to the top. Itâ€™s still in the planning stages, so thereâ€™s no guarantee that it will open in its 50th year, but sooner or later youâ€™ll be able to go up 70 meters (230ft) in the air. It will not only offer birdâ€™s-eye views of Lisbon, it will also tell the story of the bridge, including why it looks so much like San Franciscoâ€™s Golden Gate. An entire floor of the Ancient Art Museum is currently closed and will only reopen in May. At that time it will have a (re)new(ed) space for the display of Portuguese paintings and sculpture that were rarely seen before. It will have around 200 new pieces, from the Middle Ages to the 1800s. Until April you may also see the temporary exhibition â€œGreat Spanish Mastersâ€, with works by names like El Greco, Goya and Sorolla.